This is one of those cases where your expectations will affect your experience. 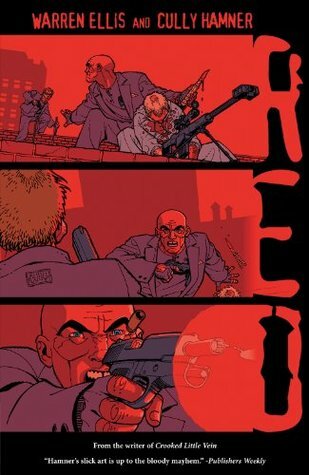 I first encountered Red, as did many, through the film starring Bruce Willis. Honestly, I loved that movie. So when the library got a copy of the comic it was based on, I snapped it up. While the movie was more or less based on this comic, it was a very different animal. They added a LOT of material, for one thing. They’d have to, given how short this was. But they also completely changed the tone. The comic was entirely straightfaced about its over-the-top violence, and there was not a joke to be had. It was all rather grim. The film was an action comedy. Both were good, but they were very different. You need to be aware of what you’re in for, and temper your expectations accordingly. The plot? The plot is simple. I can sum it up in two sentences. The new politically-appointed head of the CIA learns the scary truth about the agency he is now in charge of and orders the death of its greatest operative, the now-retired Paul Moses. The kill squad fails, leaving Moses bloodied and on a rampage to find the men who ended his solitude. That’s really all there is to this, but it’s very well executed. Small details like Moses standing in his kitchen during a storm, reliving the lives he’s ended with every crack of thunder, or the flashbacks he experiences when he takes up a sniper rifle once again, really lend some emotional weight to a character that is not entirely sympathetic even as they remind us that he is, in fact, a self-described monster. There’s some definite political commentary here, but its more generally aimed at American foreign policy (in the guise of the CIA) than it is any particular individual. I would recommend it, assuming you can stomach the violence. CONTENT: Strong, gory violence throughout. PG-13-grade profanity. No sexual content. Shifting gears a bit, this time out we’re visiting a setting a little closer to the events of the films. 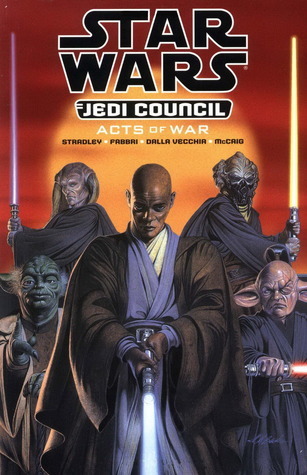 The Dark Horse Comics miniseries Jedi Council: Acts Of War takes place only a year before the events of Star Wars–Episode I: The Phantom Menace (that’s 33 BBY, if you’re keeping track). 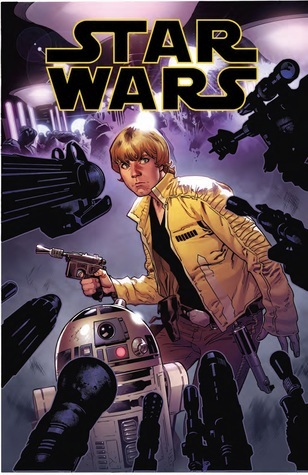 This story was published as a standalone collection, and reprinted in Star Wars Omnibus: Rise Of The Sith. 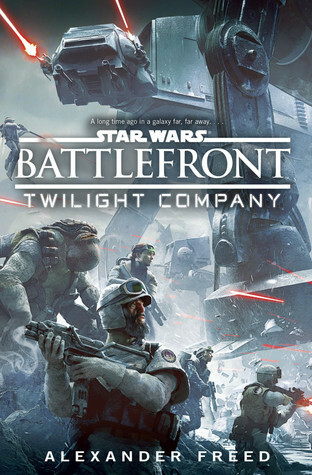 Before the galaxy was engulfed in the Clone Wars, transforming the Jedi into generals, they served to keep peace across the galaxy-spanning Republic. One such threat comes in the form of the Yinchorri, a warlike species newly accepted into galactic society. When the Yinchorri begin trying to carve out a small empire for themselves among the stars, Jedi Master Mace Windu dispatched a pair of Jedi to manage the crisis. Their mutilated bodies were soon delivered to the office of Chancellor Valorum. Now the Council must mount a full-scale expedition to end this threat to peace in the galaxy, as well as seeking to uncover just who is pulling the strings of the Yinchorri…. This was a well-executed story. It can be somewhat difficult to keep an appropriate degree of tension in stories featuring characters you know will survive based on later appearances (Qui-Gon, Obi-Wan, Mace, Adi, etc. ), but the large cast keeps this from being an issue. Each of the characters here is well developed, and some of the new characters introduced in this miniseries would go on to become fan favorites across the franchise. The art is also of high quality, serving the story well. Is the story essential? Not particularly. It’s the first appearance of K’kruhk, though, and Randy Stradley enjoys returning to the character of Micah Giett on occasion in the pages of Tales. Plus, it’s always fun watching Palpatine’s labyrinthine plots to pave the way for his eventual rise…. CONTENT: Moderate violence, occasionally a bit gruesome. No profanity. No sexual content.